Making the perfect pumpkin pie begins with a light and flaky crust, and then moves on to the delicious creamy, pumpkiny filling. Bake at the right temps, and you have a golden circle of yumminess that can only be topped by whipped cream! 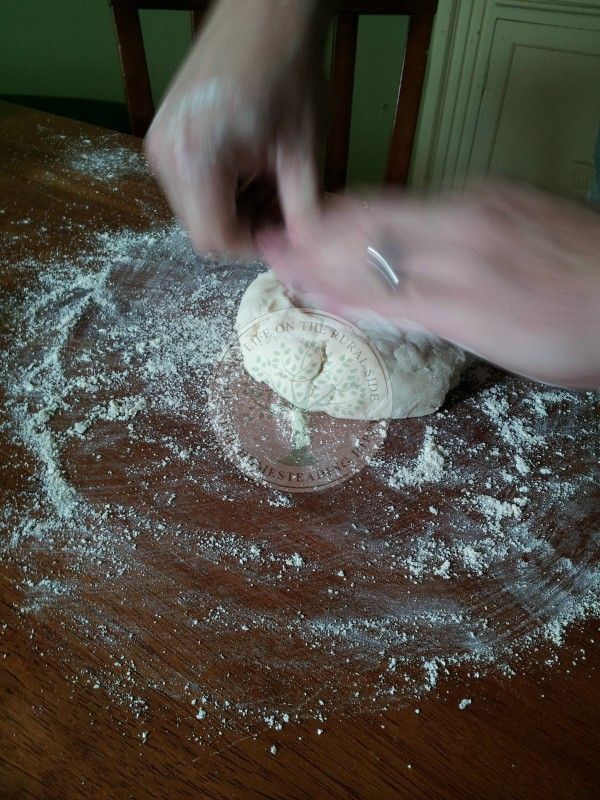 Start by making your dough. I used this recipe here. The trick really is to let it get nice and chilled so that rolling it out is easier. 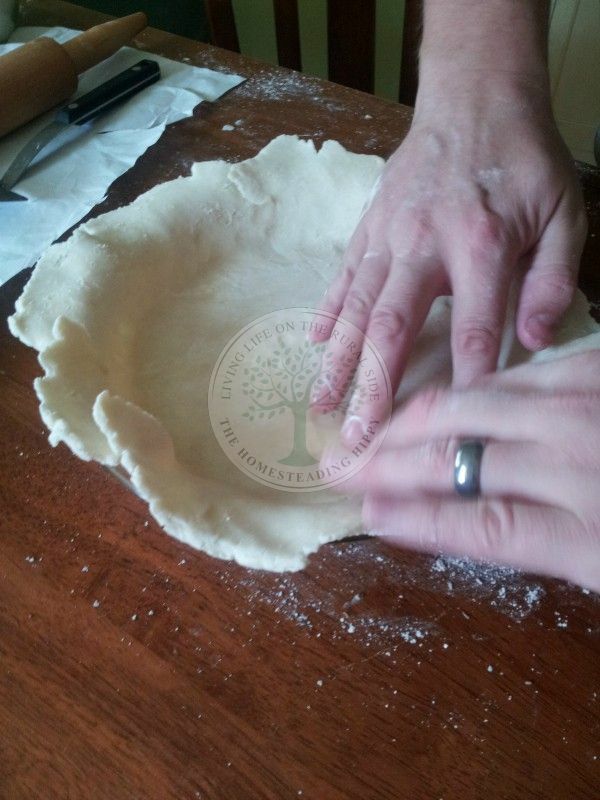 After it’s chilled, then you will gently push the circle of dough to get it moving. 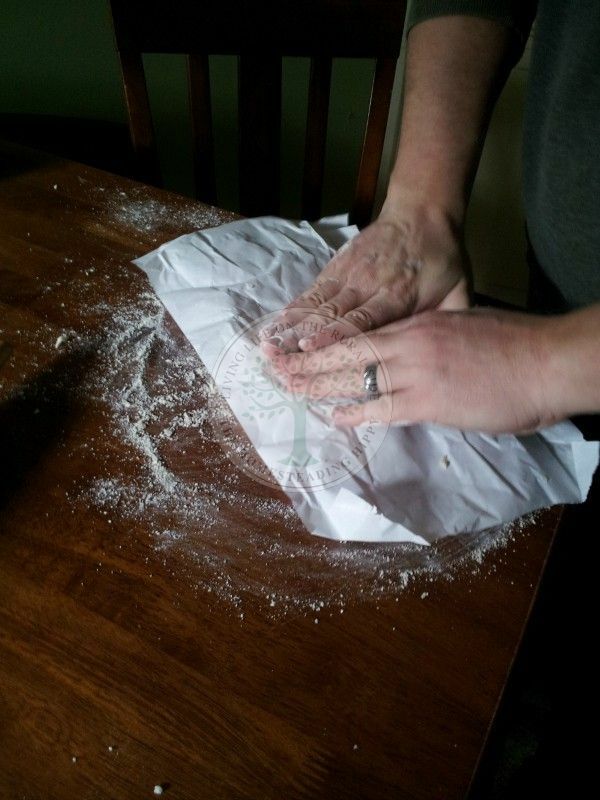 Then, place a piece of wax paper on top to roll the dough out. Get it a bit bigger than your pie plate. 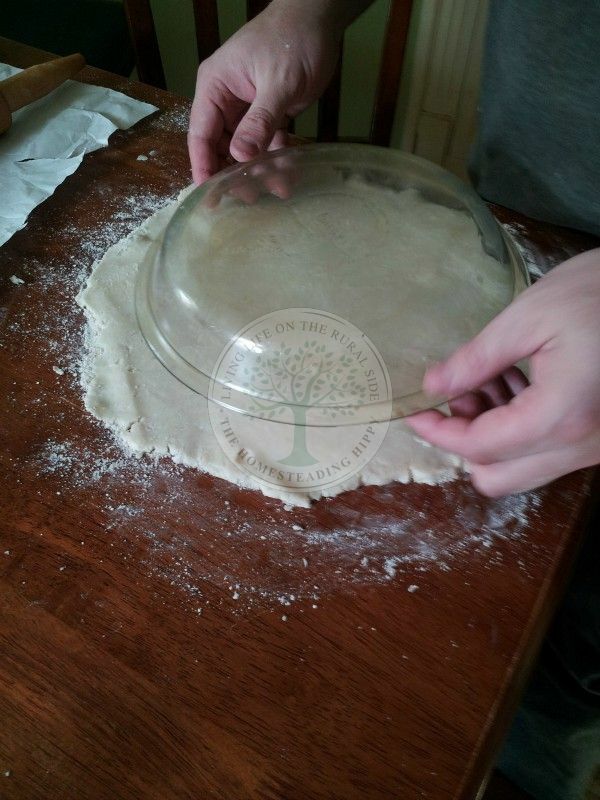 Carefully, push the edges into place in the plate, cut off the outer edges, and flute with a fork. Fill with pumpkin pie insides (recipe to follow). 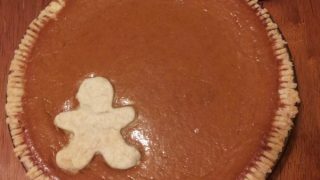 Add a little flourish (like a gingerbread man) with remaining pie crust. Mix sugar and spices in small bowl. In another bowl, beat eggs, and mix in pumpkin. Stir in the sugar and spices. 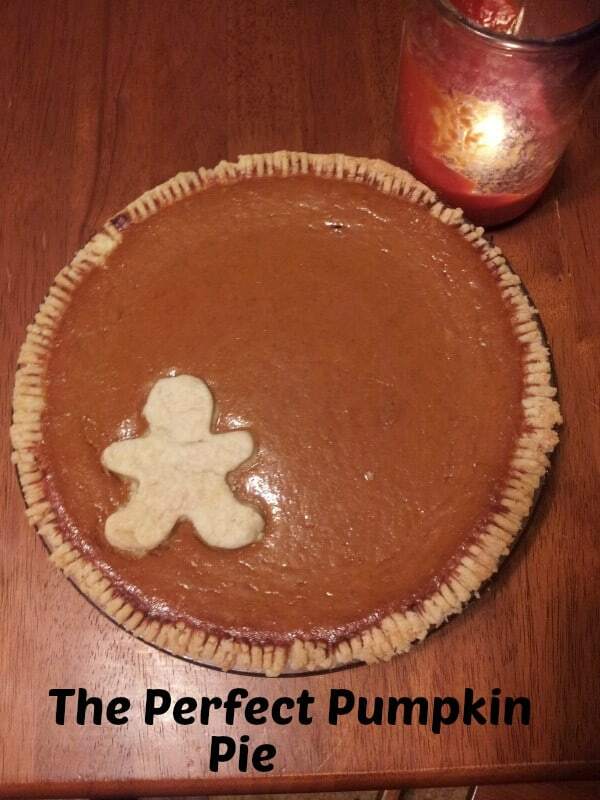 Pour into the prepared pie crust. Bake at 425° for 15 minutes, then turn down the heat to 350° and bake for another 45 minutes. Remove pie and cool on a wire rack. 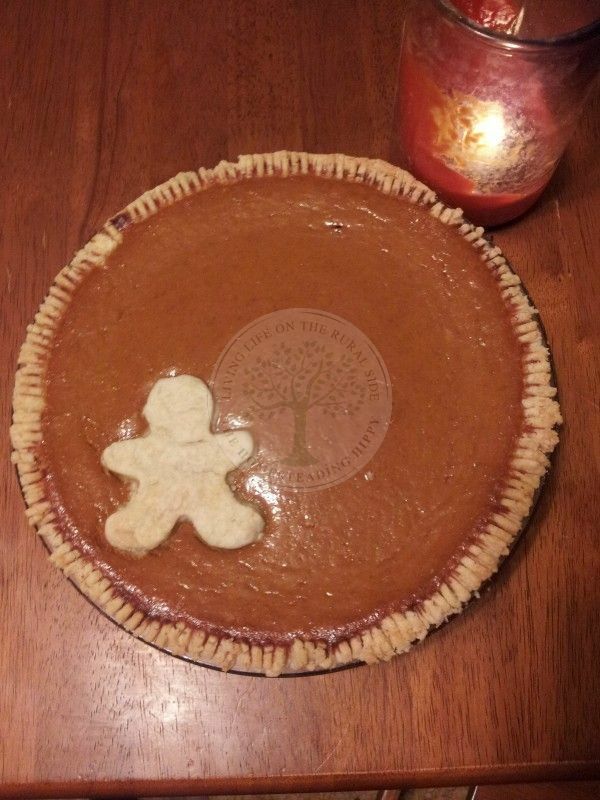 I have never made a homemade pumpkin pie before, but love it. This looks like a recipe I could do.